IT'S been eight seasons since an Old Firm cup final but we could get one in December. Celtic and Rangers were kept apart when the Betfred Cup semi-final draw was made and both are favourites to progress on Sunday. Gers are a best 5-6 at McBookie to beat Aberdeen in 90 minutes and Celtic maybe a tad short at 1-2 with bet365 to see off leaders Hearts at Murrayfield. A Rangers/Celtic double pays 9-5 at Marathonbet while both to qualify and set up a Hampden showdown is no bigger than 4-5 at William Hill. There could be plenty of thrills and spills and there are possibilities of reds and penalties and I'll have a look for any card specials. A red at Murrayfield pays 18-5 at Unibet. I'm most confident about Rangers at a bigger price than their Glasgow rivals. Like Celtic they are distracted by the Europa League but have no travel involved after drawing 0-0 with Spartak Moscow at home on Thursday. Steven Gerrard would love a trophy in his first season but will go into this game without banned Alfredo Morelos and ineligible Kyle Lafferty so may have to more Ryan Kent into a forward role. Kent has been in good form recently and hit the opener at Hamilton last weekend. He is 8-1 with McBookie to break the deadlock again. It's s game that could be incident-packed which means a possible penalty for Gers. James Tavernier converted two last week and is 3-1 at McBookie to score again. This season's been a struggle for the Dons who sit seventh although they held Gers 1-1 at Pittodrie at the start of the season. 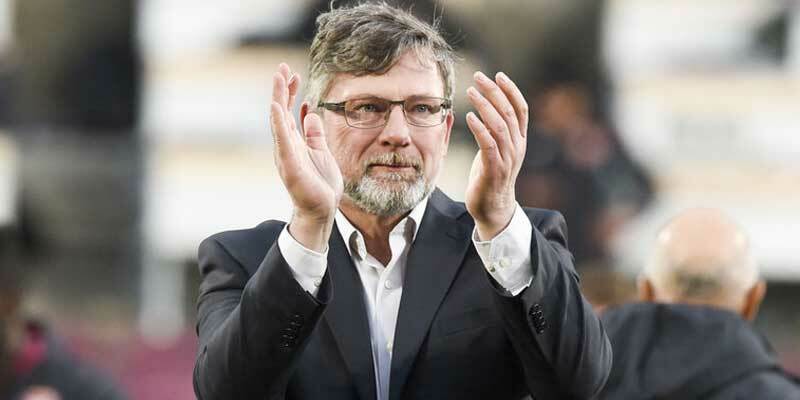 Celtic lost to Hearts earlier in the season at Tynecastle and saw Craig Levein's men move six points clear at the top of the Premiership by winning at Dundee on Tuesday. This is a huge test of the Jambos' credentials for honours and they know Murrayfield well – although it's not unfamiliar to Celtic who have played some Champions League ties there. Brendan Rodgers will be without skipper Scott Brown, Dedryck Boyata and Jozo Simunovic that's three blow but his side were superb against Hibs last week as they made it 10 goals in two Premiership matches. James Forrest and Tom Rogic have been in good form and both should return after missing out against RB Leipzig on Thursday. I reckon Celtic will edge it but the price is too short so best bet could be both to score at 17-20 with McBookie. Steven Naismith continued his fine scoring form at Dundee in midweek and is 3-1 to net. For Celtic Odsonne Edoaurd will attract attention at 10-3 to break the deadlock but I’m taking a chance on Callum McGregor at 7-1 although Rogic is a decent option if he starts.